When your team needs to manage deployments, review code, fix bugs, and more, Slack keeps it all together. 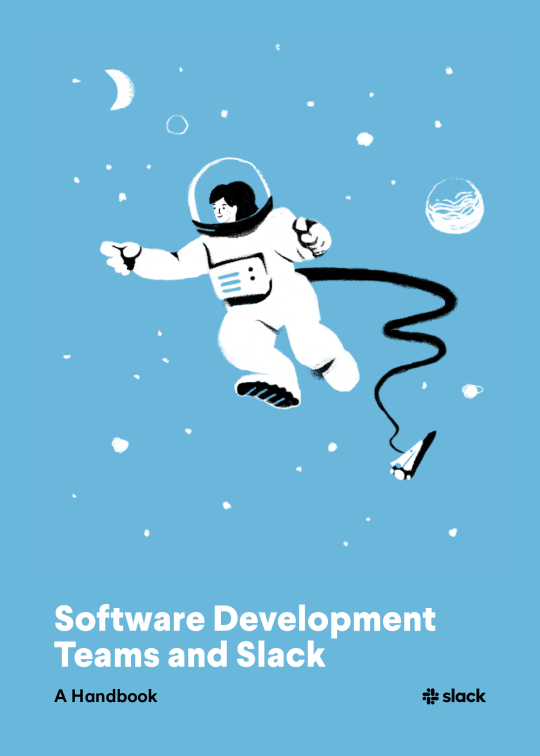 Software development teams who are just getting started or are looking to get more out of Slack. Browse through a bevy of developer tools that you can add to Slack in our App Directory. An inside look into how the eCommerce platform Shopify deploys their super bot to enable glitch-free purchases. Join us live on Feb 14th to learn how to build a custom integration for Slack. 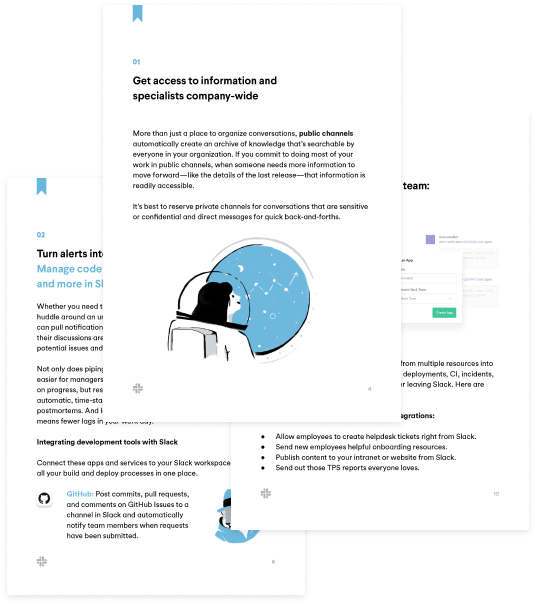 Our interactive training app gives admins and team members the skills they need to become Slack experts.